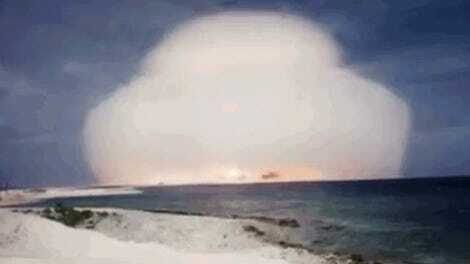 Nuclear test films from 1945 to 1962 are literally rotting away in US government storage facilities. But those highly classified films are now being restored, declassified, and released on YouTube thanks to the Lawrence Livermore National Laboratory. And 62 more never-before-seen films were just released today. 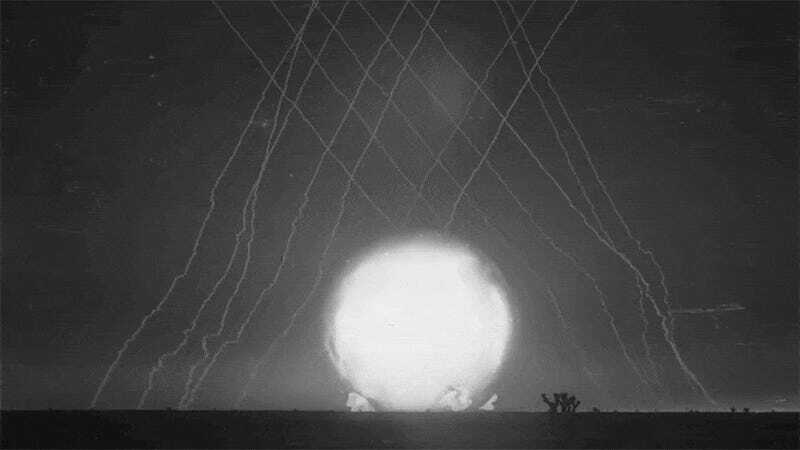 The first batch of these classified US nuclear test films were released back in March and showed just how incredible some of these atmospheric explosions can be. The US and Soviet Union signed a treaty in 1962 to stop testing nuclear explosions above ground, but North Korea has toyed with the idea of doing an atmospheric test in the near future. And the release of the footage isn’t just for public spectacle. It’s important that the American people have access to government-created films, but scientists are able to make new calculations from these films that contribute to our understanding of everything from storage of nuclear materials to how they might be used in war. The films include stunning nuclear tests from Operation Hardtack (1958), Operation Teapot (1955), Operation Redwing (1956), Operation Dominic (1962), along with others. Spriggs and his team are in a race against time to digitize the films which are deteriorating at a rapid rate, but they’re working hard and learning a lot. The Lawrence Livermore National Laboratory has at least a couple more years of work to do, but they’re going to continue releasing the films in large batches like this one today. Let’s just hope we don’t see a new atomspheric nuclear explosion (test or otherwise) before they’re done with their preservation project.